During Jamaica’s golden era, actress Katharine Hepburn was captured in iconic photographs zipping around Montego Bay in a stylish convertible. 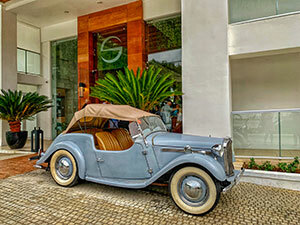 A blast from this past – in the form of a sister car to the 1953 Singer convertible – is now welcoming guests upon arrival at the newly opened S Hotel located on the Hip Strip. Stemming from a boutique hotel that helped “put Kingston back on the map,” as a tourist destination, Issa says he knows firsthand the role that a hotel can play in breathing new life into a city. Describing it as “South Beach, Jamaican-style,” Issa sees the hotel as a base for exploration, which is why he’s also focused on cultural development and building new attractions nearby, such as Usain Bolt’s Tracks & Records, an eatery and bar now open steps away from the hotel. A 1953 Singer Convertible greets guests upon arrival. Although the area has changed since then, his goal is to appeal to multiple types of guests, like millennial travellers and bringing back more upscale visitors. Even though there’s a lot of work to be done, he envisions the Hip Strip, which was re-christened Jimmy Cliff Boulevard, to see a similar revitalization to what took place in South Beach, Miami. From a main pool with vivid red umbrellas and lounge beds to a glass-wall lined pool on the upper Sky Deck, he says the hotel, which is located a short ride away from Sangster International Airport, is about creating real estate with magnetism – spaces that people enjoy and feel comfortable in. “If you like the space, then you’re going to want to keep coming back to it,” he says, adding that guests can also access Doctor’s Cave Beach through the hotel. 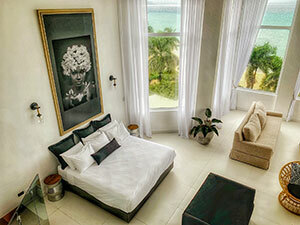 While all rooms have unique appeal like turntables with a vinyl copy of Bob Marley’s “Legend,” the showstopper is the Presidential Suite, which spans two floors and offers impressive views, and can be connected with rooms on the fifth and sixth floor for an even more spacious suite. 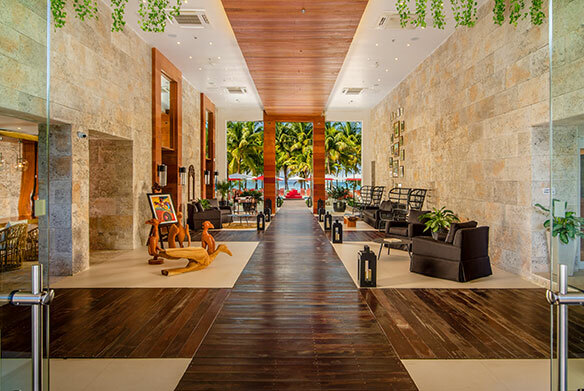 Historical and cultural Jamaican design elements are woven throughout the hotel, which features multiple bars, restaurants, and pools, plus a spa, gym and café. Since opening on Jan. 27, he says the response has been overwhelmingly positive, and he foresees guests combining their stay in Montego Bay with a visit to Kingston in the not-so-distant future. 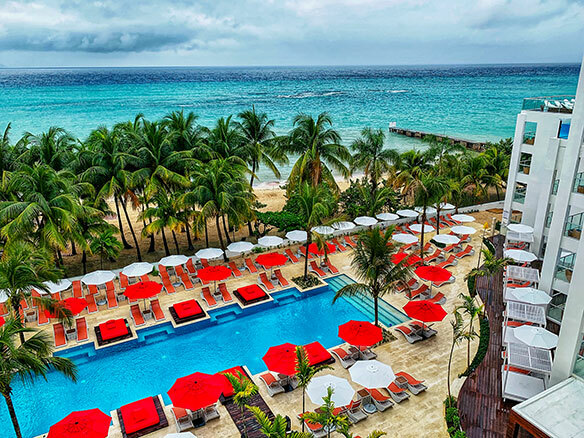 For Dan Hamilton, district sales manager and acting regional director – Canada for the Jamaica Tourist Board, EP hotels like the S Hotel provide travellers with flexibility and choice.